The incredible true story of a boy living in war-torn Somalia who escapes to America - first by way of the movies, years later through a miraculous green card. Abdi Nor Iftin first fell in love with America from afar. As a child, he learned English by listening to American pop artists like Michael Jackson and watching films starring action heroes like Arnold Schwarzenegger. When US marines landed in Mogadishu to take on the warlords, Abdi cheered the arrival of these real Americans, who seemed as heroic as those of the movies. In an amazing stroke of luck, Abdi won entrance to the United States in the annual visa lottery, though his route to America - filled with twists and turns and a harrowing sequence of events that nearly stranded him in Nairobi - did not come easily. Parts of his story were first heard on the BBC World Service and This American Life. 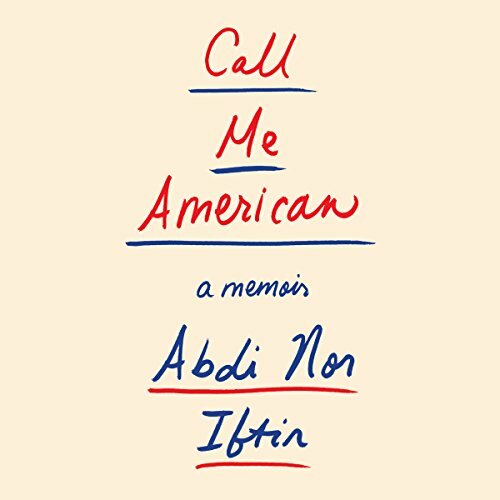 Abdi Nor Iftin' is now a proud resident of Maine, on the path to citizenship, and his dramatic, deeply stirring memoir is truly a story for our time: a vivid reminder of why Western democracies still beckon to those looking to make a better life.